You are currently browsing the archives for the Virginia Beach category. Up for a bike ride? How about a really long bike ride? If so, you might want to check out circumnavigating the Chesapeake Bay, like this group of cyclists did recently. The trip, as outlined in this pilotonline.com article, took them to 13 lighthouses, four ferry boats, across two bridges that didn’t allow cyclists, on the Chesapeake Bay Bridge-Tunnel and in many a small town. Crab cakes were a common fuel (yum!). The group made a “clockwise circle around the bay, traveling west and north initially, through Surry and Jamestown and Gloucester, before reaching Maryland. They crossed the Bay Bridge and headed south down the Eastern Shore, stopping at their lone hotel in St. Michaels before camping on the beaches of Assateague and Chincoteague. 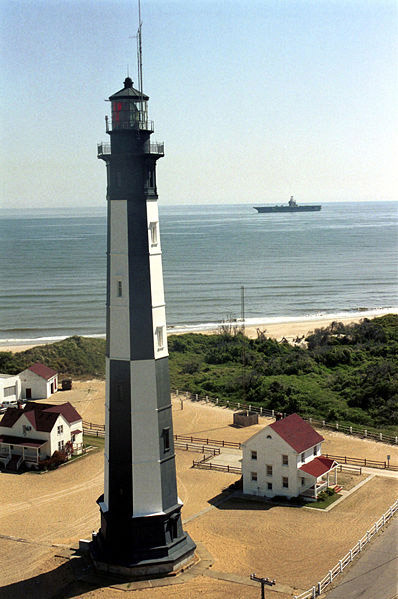 They ended the trek at Cape Henry and the Fort Story Lighthouse in Virginia Beach.